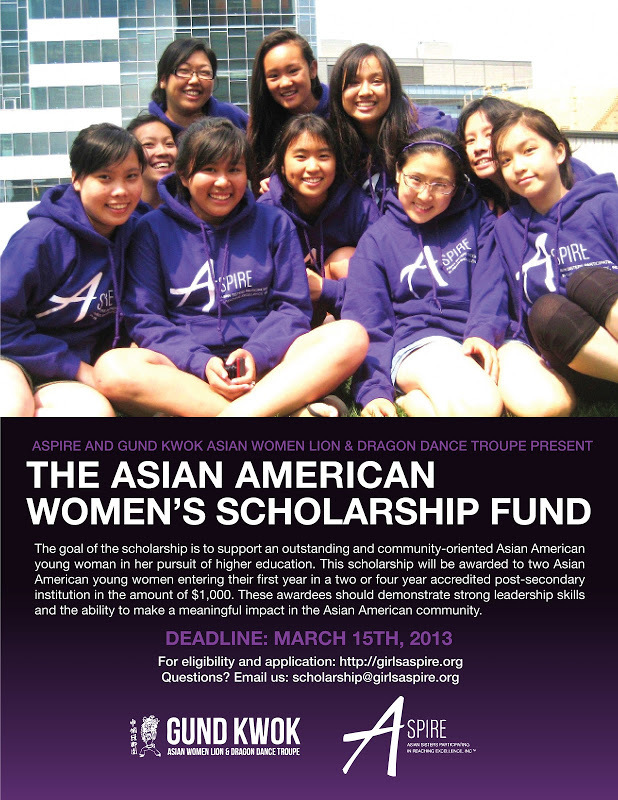 ASPIRE invites Asian American young women in pursuit of higher education to apply for this year’s Asian American Women’s Scholarship Fund. With financial support from Gund Kwok Asian Women Lion & Dragon Dance Troupe, this scholarship will be awarded to two Asian American young women entering their first years in a two or four year accredited post-secondary institution in the amount of $1,000. These awardees should demonstrate strong leadership skills and the ability to make a meaningful impact in the Asian American community.